It’s Shark Week, the only time people care about the Discovery Channel! And so, to a drink. 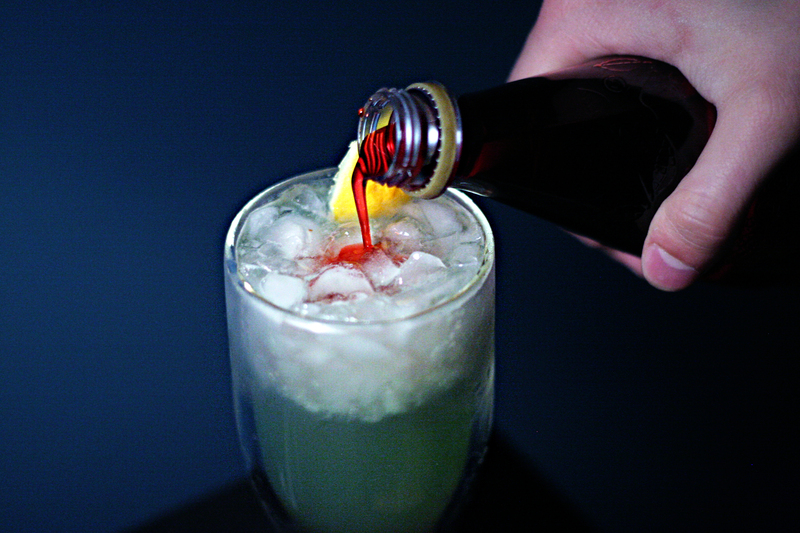 I tried something a little bit different this time, taking a pre-existing drink more specifically and modifying it. And I think it worked out well! 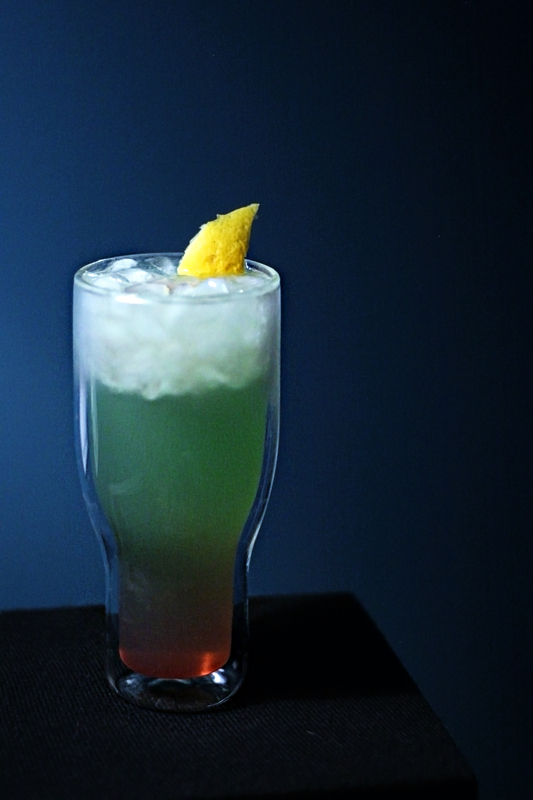 The original recipe is the “Fred Collins Fizz,” from the New Guide for the Hotel, Bar, Restaurant, Butler, & Chef (that’s a mouthful) by Bacchus & Cordon Bleu, 1885. Instructions are copied verbatim, except for the last two. 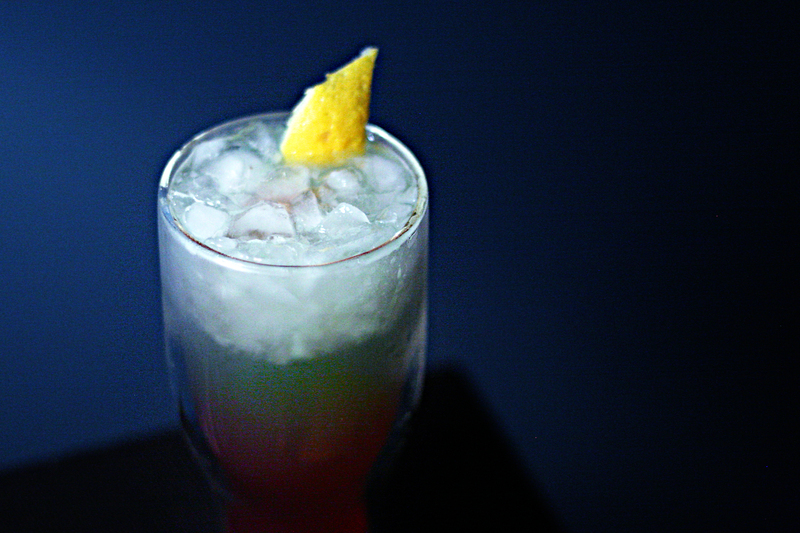 Adjustments were made by the replacement of orange with blue curaçao, as well as the addition of grenadine. To bring the blood into the blue ocean water. Strain into a large bar glass that is half filled with shaved (or finely crushed) ice. 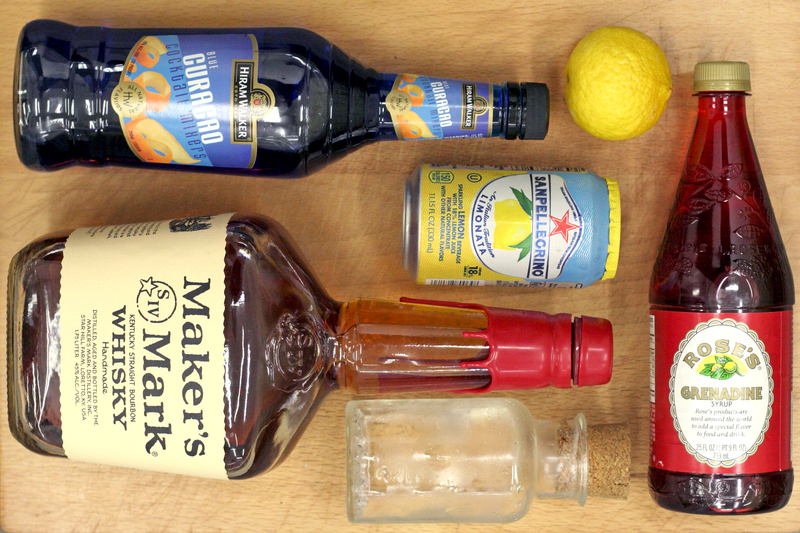 Pour the lemonade into a collins glass, and pour the contents of the bar glass into it. Enjoy, while deciding that you won’t go into the ocean for at least another year. Maybe July of 2016 you’ll give it another shot. BN: This was really good. Normally I say that because I’m proud of myself but this was awesome. It wasn’t super alcoholic, and the tartness of the fresh lemon worked incredibly well with the hint of grenadine. I tried it without the grenadine and it wasn’t quite the same. Well done, bartenders of 1885. Only disappointment was that it ended up green and red instead of blue and red, and kind of looked like it should taste like watermelon. Jaws dropping drink! Bet everyone will FIN-ish it in a flash!